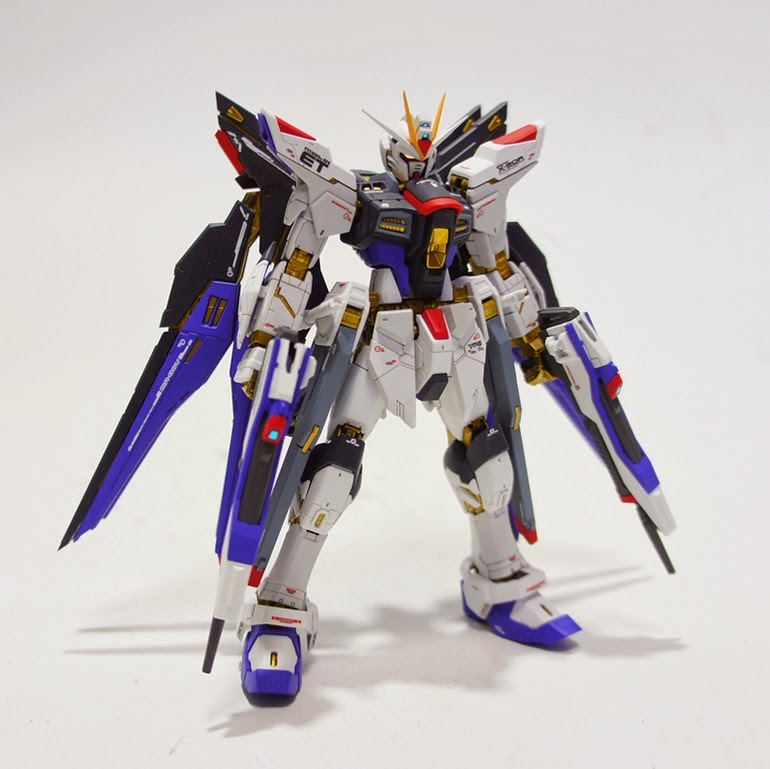 The 14th in the RG Series - the Strike Freedom Gundam! 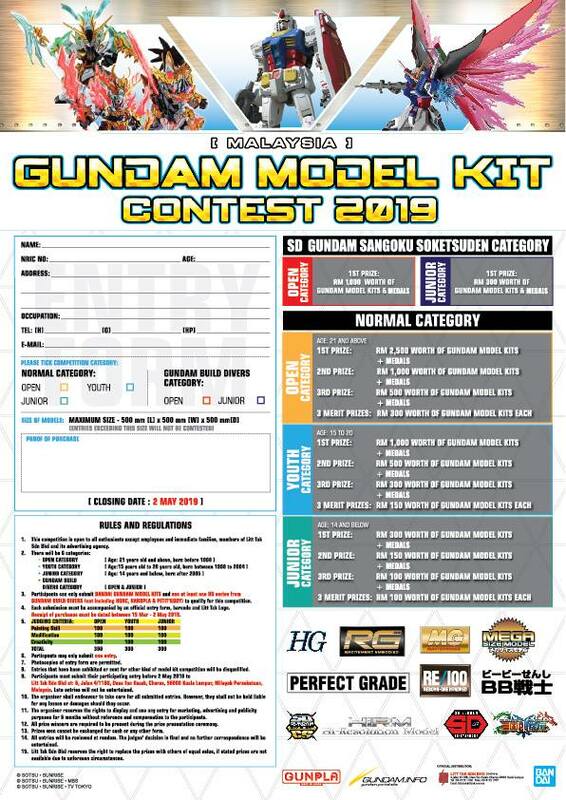 From Mobile Suit Gundam SEED, which brought us the Aile Strike Gundam, Freedom Gundam and Justice Gundam as Real Grade kits, we finally get the Strike Freedom Gundam! 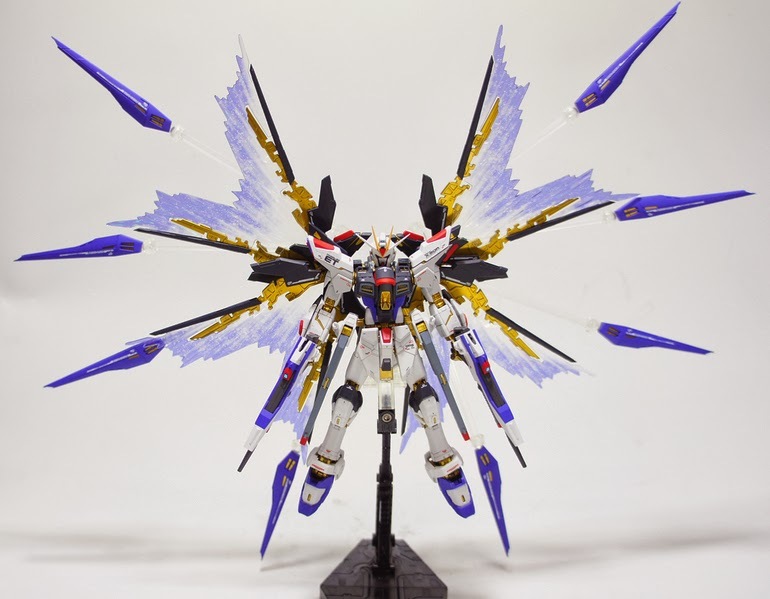 Heavily researched, the RG Strike Freedom is the most realistic depiction so far. Advanced MS Joint allows for a huge range of motion and quicker assembly. 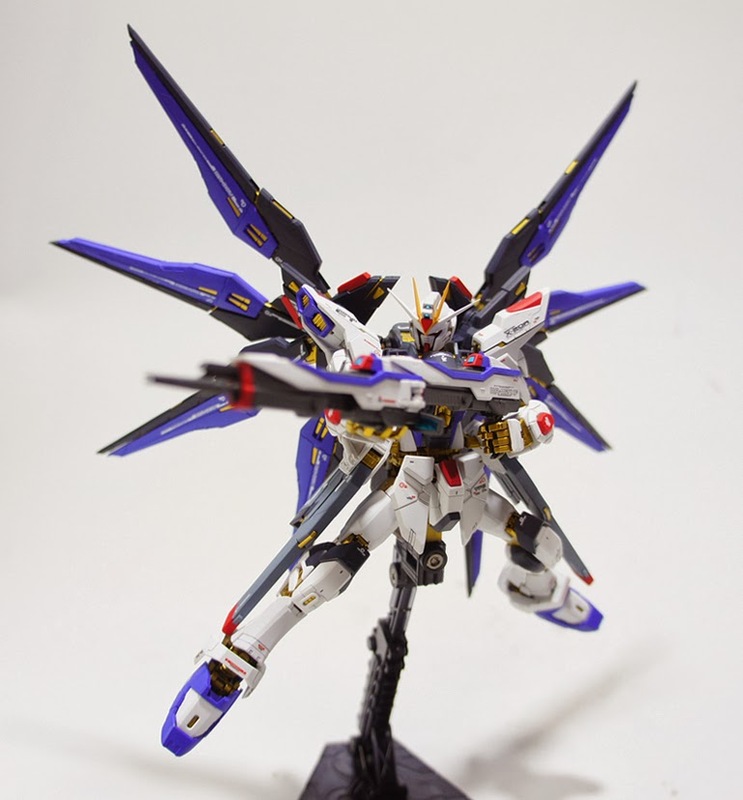 Reproduce the look of the metal joints using realistic decals. 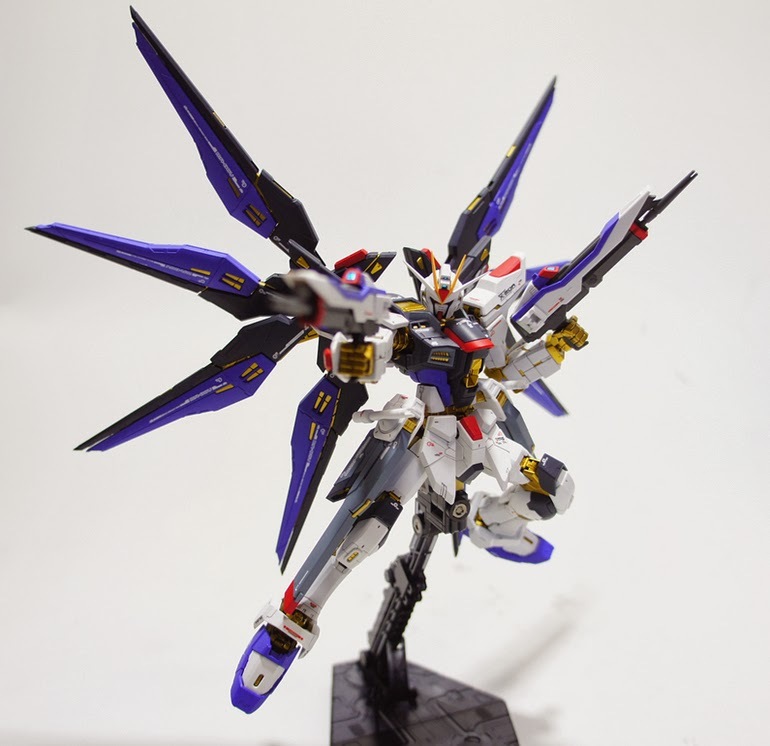 Designed to replicate the Strike Freedom's characteristic gold inner frame, this is the first RG kit to have a gold-colored inner frame! 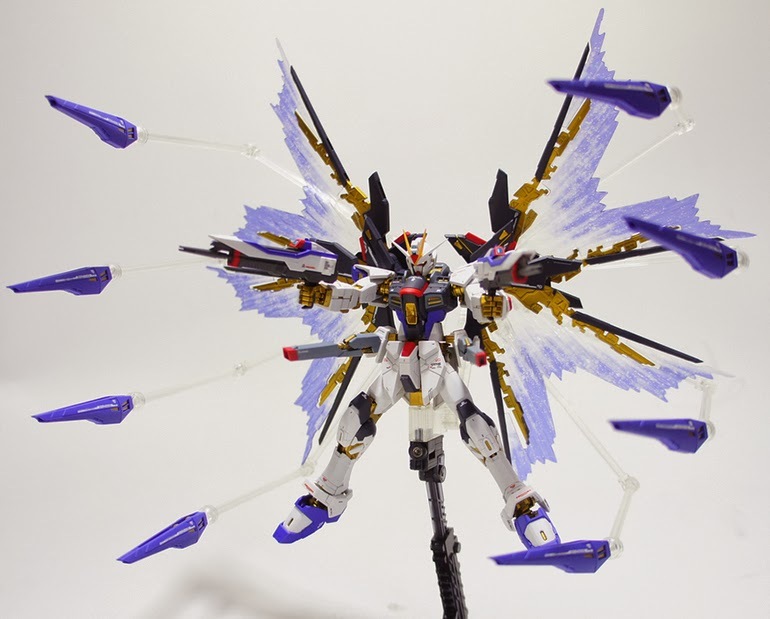 Expandable Super DRAGOON Weapon Wing System! 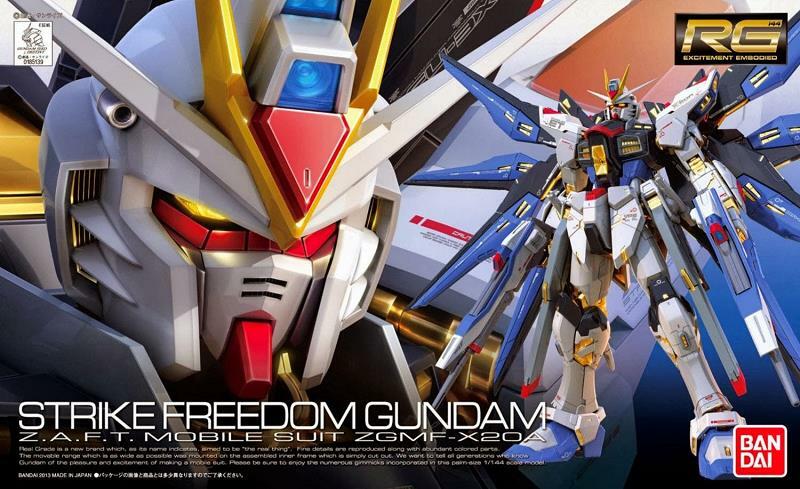 The largest element of the Strike Freedom, the Super DRAGOON system has been reproduced in exact detail according to research done for this Suit, and the interior frame has been molded in gold for an accurate build. Beam Shield reproduced with clear parts. High-Energy Beam Rifles can combine to form Long-Range Beam Rifle. Waist-mounted Rail Cannons are equipped with deployment gimmick.